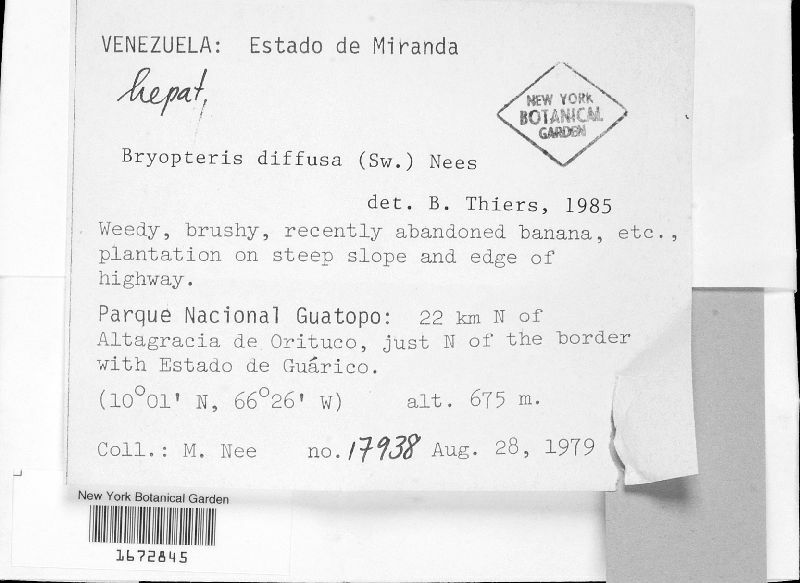 Locality: Venezuela, Miranda, Weedy brushy, recently abandoned banana, etc, plantation on steep slope and edge of highway. Parque Nacional Guatopo: 22 km I of Altagracia de. 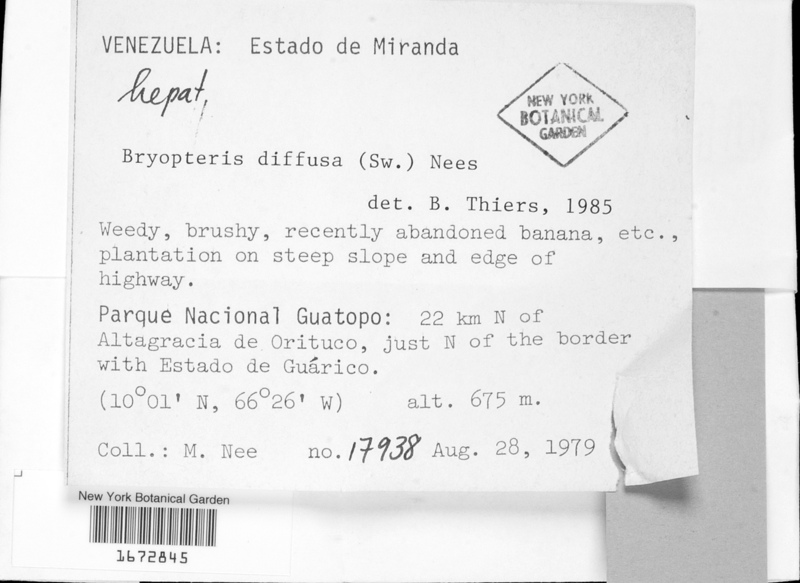 Orituco, just N of the border with Estado de Guarico. alt. 675 m.